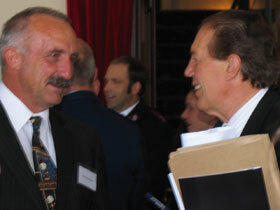 In early December 2008, as Civil Defence Minister, I hosted a key delegation from Indonesia. 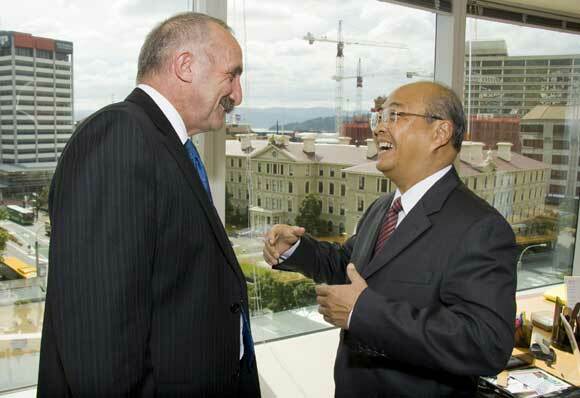 Here I am at my Wellington ministerial offices with Dr Kuntoro Mangkusubroto. 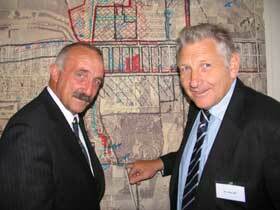 On Monday 27 June 2008, Pete O'Dell and I had the pleasure of being in the last vehicle to use the single-lane concrete bridge in the Stone Store Basin. 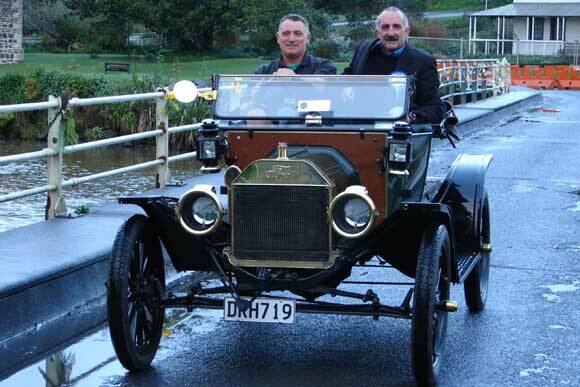 Our ride was a 1913-14 Model T Ford from Pete's Pioneer & Transport Museum at Kerikeri. It was a model T Ford which made the first crossing of the original wooden bridge in the basin in 1915, so it was fitting that another would be the last. 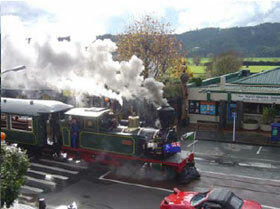 On May 25 2008, I was honoured and excited, as a Trustee and as the local MP, to be part of the official launch of the steam train Gabriel after many months of hard work by the Bay of Islands Vintage Railway Trust and its miracle workers. There were many activities on the day but the highlight for many – apart from Gabriel herself! 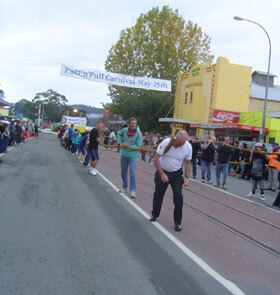 – was the annual "Puff and Pull" competition. I had my turn at it and I can tell you it was hard work! Coastguard Hokianga congratulated Queen's Birthday weekend 2008, I attended the ceremony for the launching of the new Coast Guard vessel. The Hokianga Volunteers and their supporters are a determined group who have shown what can be achieved if a few people in the community give leadership. 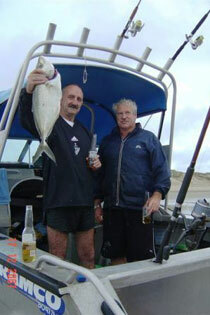 I admire their efforts and tenacity which have resulted in this wonderful new boat making its home in the Hokianga. 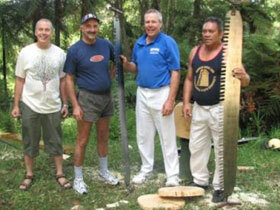 It will mean greater safety for all who sail in and about the Hokianga Harbour and further out to sea. They are to be commended for this fine effort. 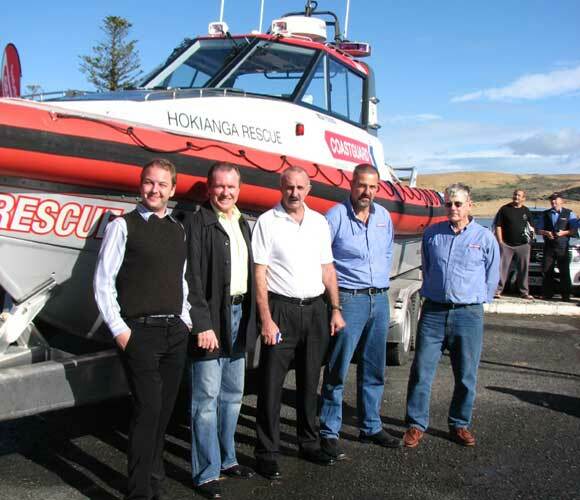 I'm pictured here with Pub Charity's Stu Wilson and Brad McKee, President Jeff Cramp and HVC Ivan Harnett admiring Hokianga Vounteer Coastguard's new vessel "Hokianga Rescue". 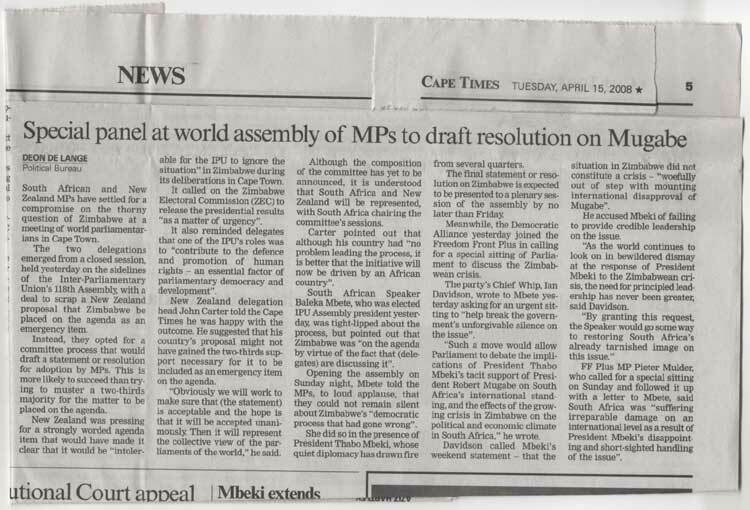 Once again as head of delegation, I attended the Inter-Parliamentary Union meeting, this time in April 2008 in Cape Town, South Africa. 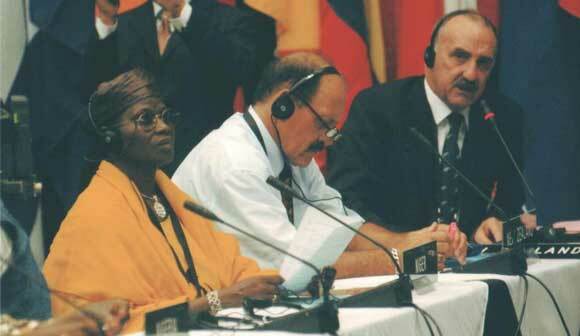 With Zimbabwe right next door, the New Zealand delegation felt the IPU could not remain silent on the crisis. Myself, Dover Samuels and Nandor Tanczos promoted an emergency resolution to the Assembly. It proceeded and I was part of the drafting Committee that settled upon the final wording. The issue is also covered in a Cape Times newspaper report. 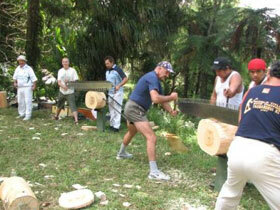 At the Broadwood Show, a couple of the stalwart axemen challenged John Wigglesworth, CEO of Hokianga Health, and me to a sawoff. 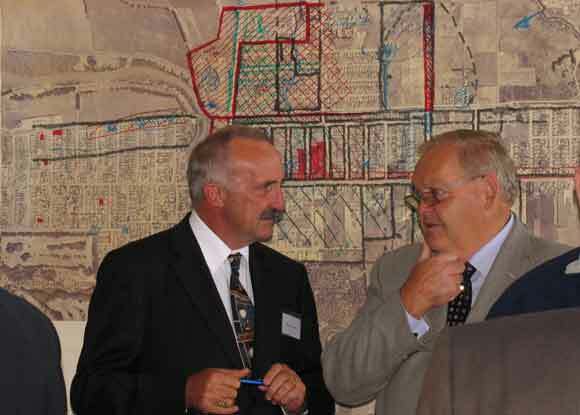 My cousin Bill Carter paired with John and I teamed up with Jo Te Wake. Thanks to Jo, we got there first. I hope you all had a safe and happy Christmas and New Year. I enjoyed some time off at home with friends and did a bit of R&M around the house. This year will be a big one for all of us and I feel well rested for the challenge. 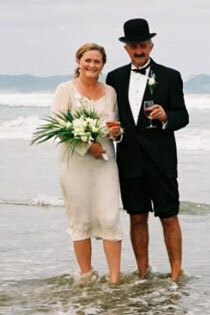 On 12th January 2008, Leoni and I were married in front of our kids and grandkids, and our friends, on the beach near our home at Waipapakauri.